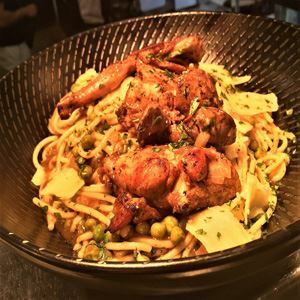 Rabbit Spaghetti: tender pieces of rabbit, baked in garlic, onions, peas, white wine, herbs and spices, served with spaghetti. 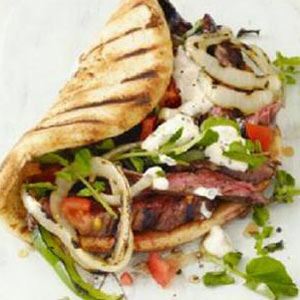 Fusing authentic Maltese cuisine with Mod Oz fare, Limestone Café on Railway Terrace is setting the trend in Schofields. 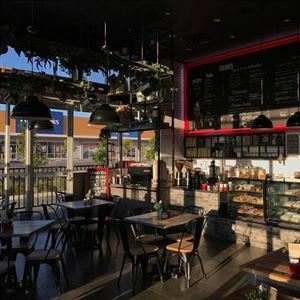 A chic, charcoal grey façade entices diners indoors, where wood panelled feature walls combine with aqua and black accents to create a spacious, bright and breezy vibe made for lingering over a smooth coffee and Maltese pastizzi. An eclectic menu of fresh, seasonal produce plates up all day breaky dishes such as shakshuka with sautéed chorizo, onion, capsicum, tomato salsa, eggs and sourdough; while lunchgoers can delve into fettuccine boscaiola with sausage and mushrooms, in a creamy garlic sauce. Tapas temptations include flash fried Nanna’s ravioli and a garlic and chilli prawn hotpot; or perhaps a slice of Mediterranean pizza with basil pesto, mozzarella and feta. Three of us popped in on a Sunday morning for breakfast after receiving a big recommendation from friends. It's a Maltese influenced restaurant, not a huge place but extremely popular. Food was excellent but take an appetite, the portion sizes were BIG. Watch out for the Big Boys Breakfast, had to totally skip lunch. All of the food was extremely fresh & the fruit juices were crushed to order. All of the staff were extremely friendly but a big thank you to our waitress from Gozo, happy, bubbly & helped make the experience a bit special. Best food I've had lately. Great food , very well priced , good size portions. Bake their own bread, truly mouth watering ! Great atmosphere. Just like being back home. Great food, great service. Limestone is a small European village experience brought to Australia and doesnt disappoint. The food is always in abu dance and of the finest quality. From Maltese fare to a wide range of other beautiful pastries,breads and foods all done in a woodfired oven. Their two blends of coffee are second to none and are always served with a smile. We even chose to have our daughters wedding function there and the food was world class. I implore everyone to go and try for yourselves and experience fine dining that surpasses a lot of current themed eateries for sheer class and perfection at an affordable price. Great food and the closest to hometown food! LOVE LOVE LOVE - nothing not to love! 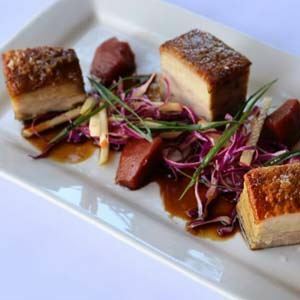 Can highly recommend anyone to visit Limestone for Breakfast,Lunch or Dinner for a tasty ,we'll presented meal.I personally have been many times and tasted every meal on the menu and never have been disappointed ..Do yourself and your belly a favour and visit Limestone,all thumbs up ???? Been to limestone for breakfast & dinner food is always great. The coffee is the best. Great cafe ,prompt service Yummy food definitely the best in the area .Good work Limestone ? ?